Have you recently undertaken a big gardening project, which has made your garden look beautiful but left you with mountains of garden waste? No problem – we at Dial a Bin have the most efficient garden clearance and garden waste disposal solutions. Whether you’re sprucing up your own garden or are a professional working at a school or park, Dial A Bin’s range of domestic and commercial waste management services ensures we’ll be able to take care of your garden waste. Maintaining a garden can be difficult – gardeners must cope with all kinds of weather conditions alongside the job’s strenuous physical aspects. Thankfully, Dial A Bin UK can lighten your load with our garden clearance and waste removal services. 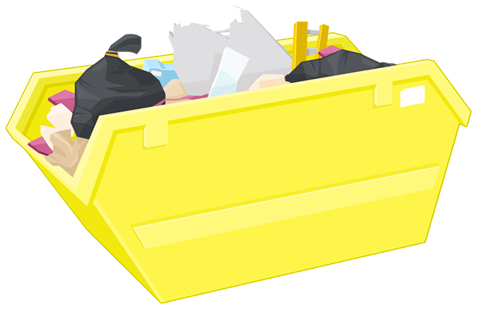 Depending on the size and scale of the job, we can provide wheelie bins, mini and midi skips, and roll-on roll-off containers for your garden waste, which we subsequently take to our waste transfer station in Brackley to sort into recyclable waste and landfill. So the next time you’ve been left with mounds of garden waste that’s tricky to get rid of, don’t hesitate to contact Dial a Bin UK. We provide services to commercial and domestic customers. For more information, call our friendly team. As soon as we hear from you, our waste disposal experts will be in touch to develop the right garden clearance and waste disposal solution for you.